Vytjie Mentor apologises to Fana Hlongwane - SABC News - Breaking news, special reports, world, business, sport coverage of all South African current events. Africa's news leader. Mentor has since declined to comment on SABC News. 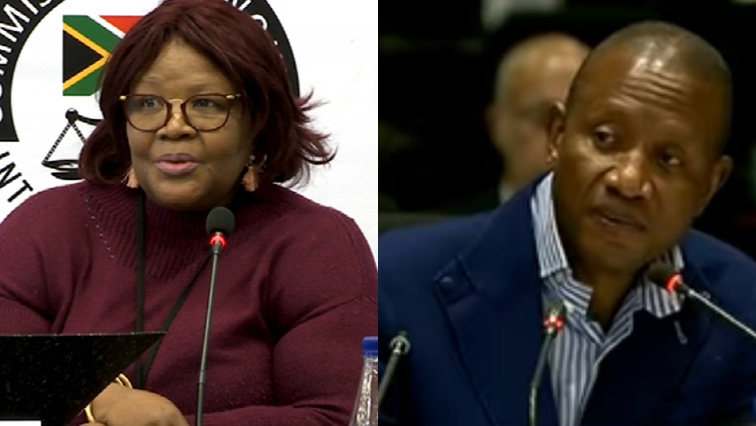 Former African National Congress (ANC) MP, Vytjie Mentor, has apologised to businessman Fana Hlongwane for wrongly implicating him in allegations of state capture. Mentor had earlier testified to the Commission of Inquiry into State Capture under oath, that it was former President Jacob Zuma’s son, Duduzane Zuma who had introduced her to Hlongwane. The apology is contained in a leaked letter from Mentor’s lawyers to the commission. In a letter which has been circulating, Mentor states that after she gave her testimony at the commission, she then proceeded to view pictures of businessman Fana Hlongwane on the internet. Mentor says after reflecting on those images, she realised that it was not the same person Duduzane Zuma introduced her to while on board an Emirates flight. She has since apologised for the embarrassment and impugning on Hlongwane’s character the mistake may have caused. On Thursday, Justice Raymond Zondo in his ruling on Mentor’s returning to the Commission to be cross-examined said that it is important for the evidence presented to be investigated. “If her evidence is not true, it could have serious consequences also because her evidence is really very pertinent,” says Justice Zondo. Mentor has since declined to comment on SABC News, and has directed all questions to her lawyers. This entry was posted on 16 Nov 2018,03:30PM at 3:30 PM and is filed under Politics, Homepage Featured Story Slider. You can follow any responses to this entry through the RSS 2.0 feed. Both comments and pings are currently closed. Marijuana use in South Africa: what next after landmark court ruling?